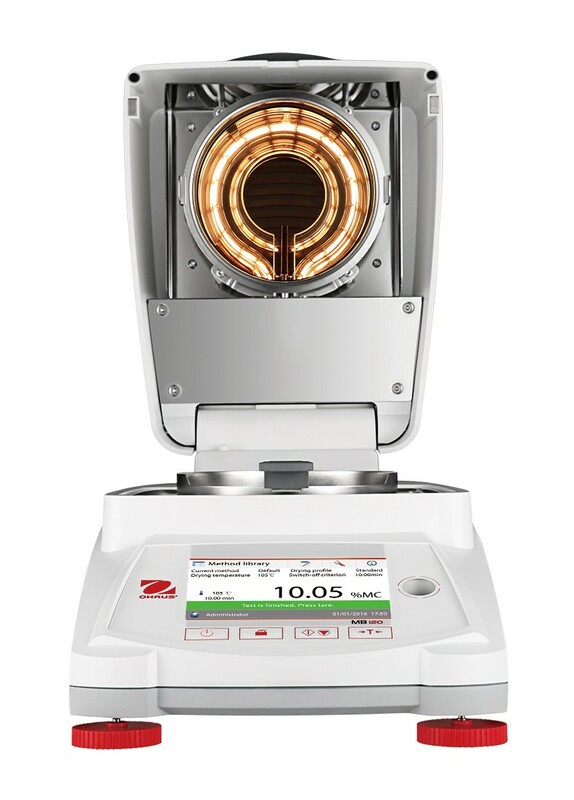 Define your drying parameters and store up to 100 methods for easyy recall, MB120's temperature guide helps to analyse a sample and determine the optimal drying temperature. YOu can store up to 100 methods and 100 total results, for statistical analysis of measurements. Three levels of user management are available to eet individiual user requirements and ensure data safety. 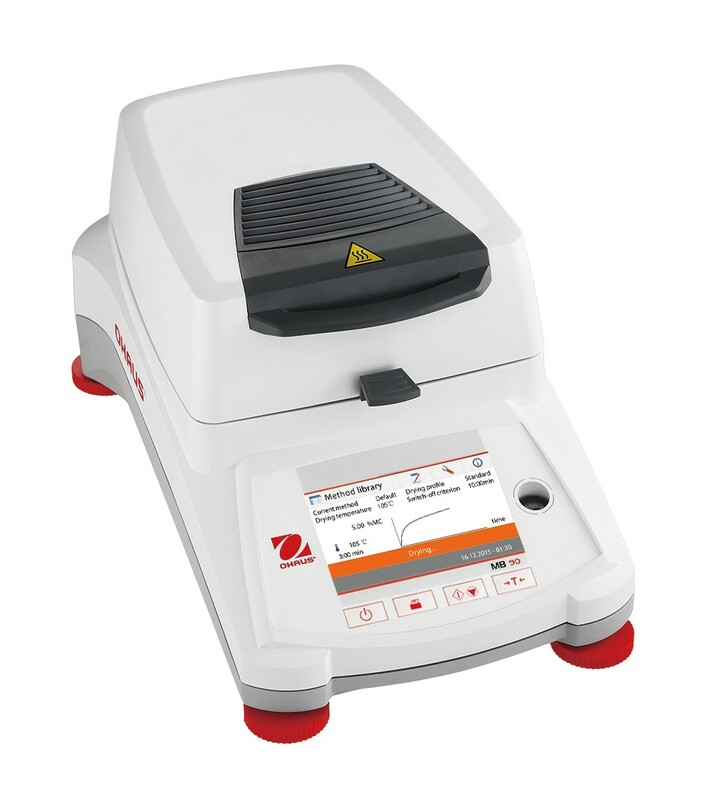 Increase Efficeincy in your lab with fast heating halogen technology, a precisely controlled halogen heating system distributes heat uniformly over the sample ensuring fast and repeatabe results. 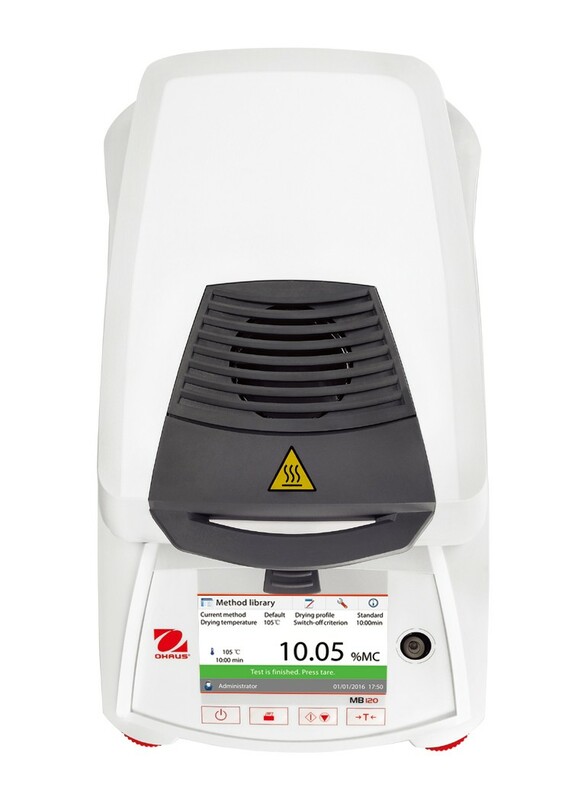 Four selectable drying profiles for easy one - step drying and seven shut-off criteria to automatically end the test (once moisture loss is no longer detected) are availabe in the MB120. You can access all of the MB120 and MP90's features features and parameters on the easy to read colour touchscreen display. The intuitive icon-based navigation guides users through every ste of the operation. 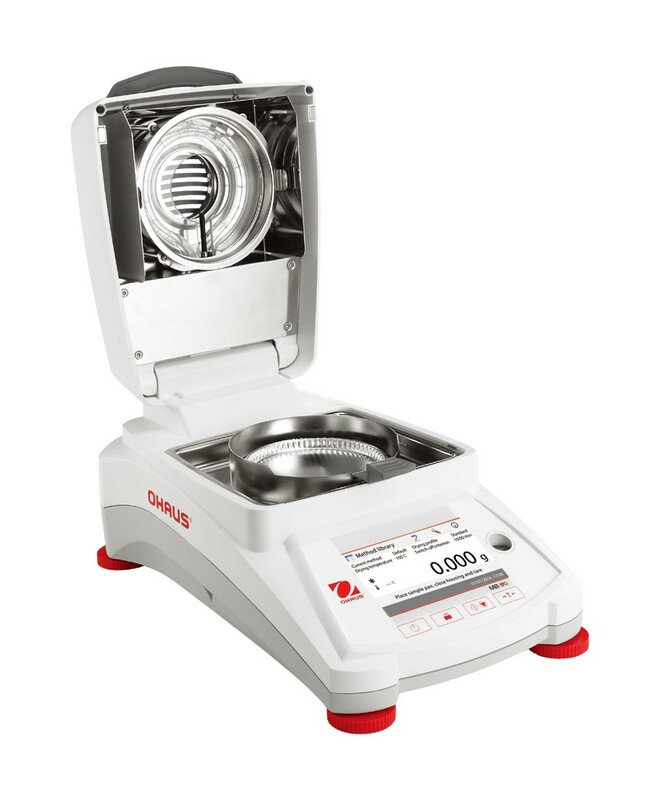 All OHAUS MB balances are manufactured under an ISO 9001:2008 Registered Quality Management System. 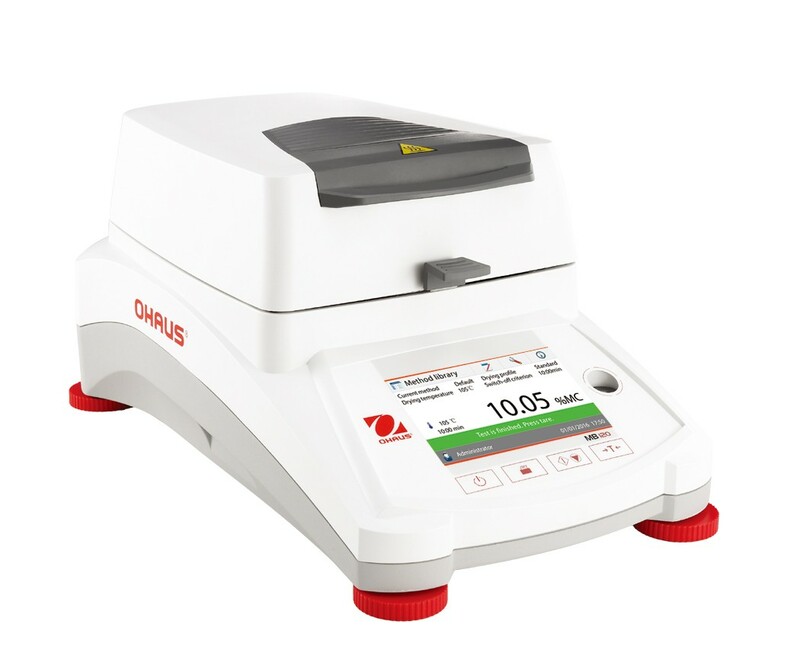 If you are still not sure if the, Ohaus MB35 Moisture Analyser, is right for your individual requirements, please Contact our technical team and we will be able to assist you in finding the right scale for your needs.